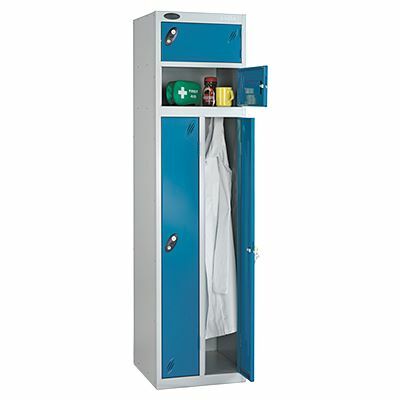 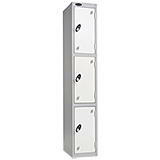 Sturdy and secure space-saving metal storage lockers with two vertical compartments, each fitted with a double coat hook, plus a full width 180mm-high top shelf for each user, all opened by a common key. 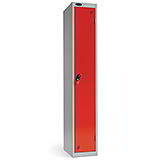 The anti-bacterial coating is highly effective against MRSA and E-coli. 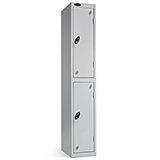 Each of these metal storage lockers comes equipped with a standard cam lock with a massive and exclusive 3000 serial combinations.